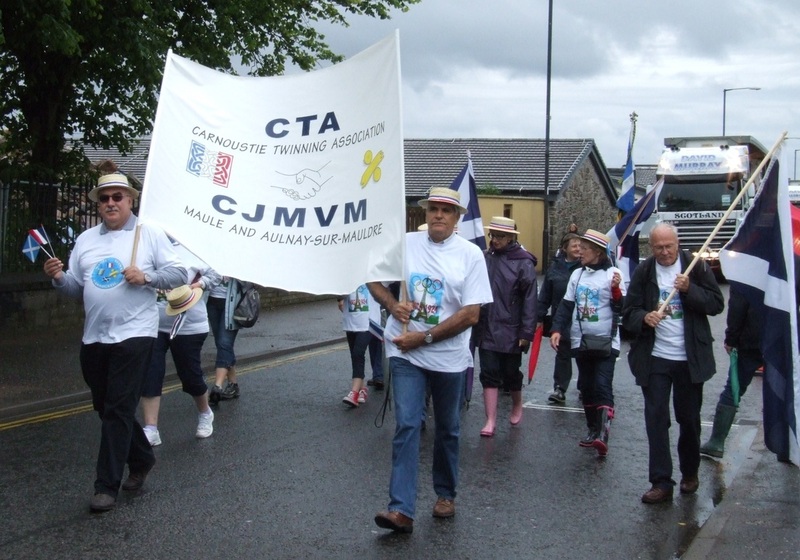 Gala Week in Carnoustie has featured on the summer calendar for many years and culminates in Gala Day which is a large fete held in Carnoustie House Grounds. 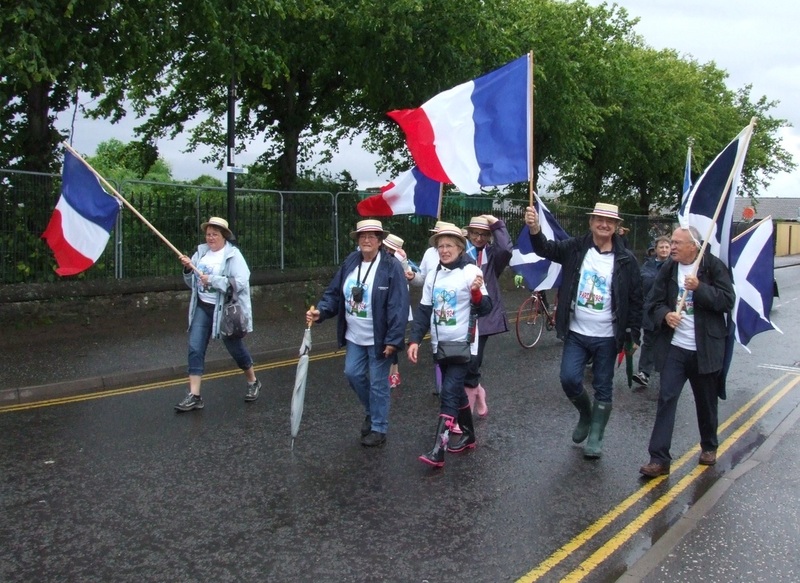 Over the years we have hosted a French visited during Gala time and they have taken part in the Gala Day Parade and jointly hosted a twinning stall there. We have hosted a stall most years recently and frequently jointly with French visitors. 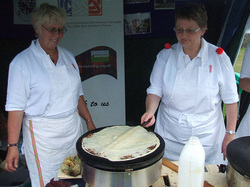 These have given an insight into twinning activities and as can bee seen from this picture we usually have the added attraction of Crepes which are made fresh on the stall and sell like hot cakes (sorry). Although we usually employ the services of a French expert for these some of our own members are by now also expert. The one you see here is a joint Scots/French production. The Gala Day in 2012 was again a great success albeit very wet. There were a number of walking floats taking part including one which involved the party from Maule including the Mayor of Aulnay. The rain did not dampen spirits at all and a good - if slightly wet time - was had by all. 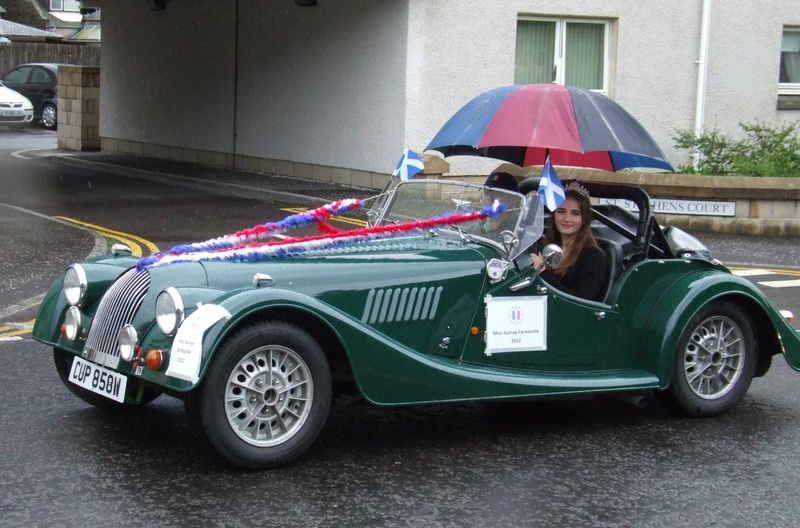 The final picture shows 'Miss Maule' in her own chauffeur driven car - complete with golf brolly. Well, it was Scotland in summer.